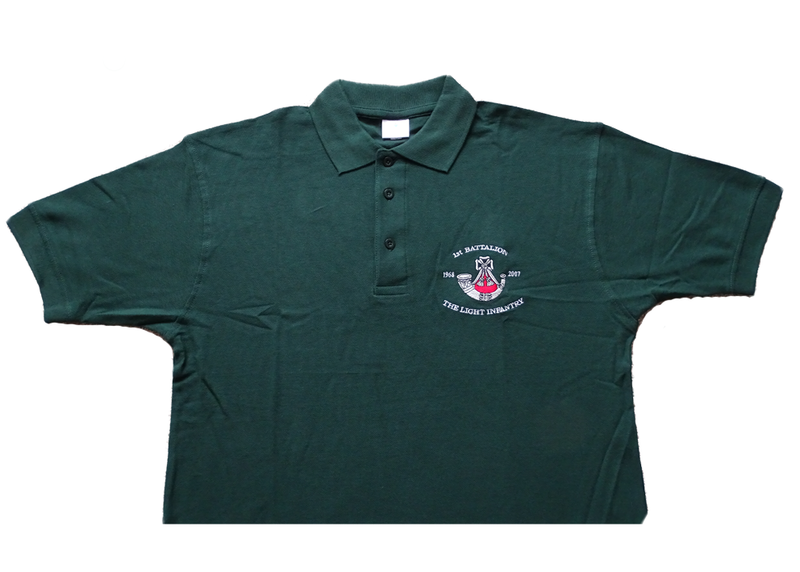 Bottle Green Polo Shirt 200GSM with embroidered logo, 100% Cotton, 3 Self Coloured Button Placket, Knitted Collar & Cuffs, Reactive Dyed with Taped Neck. We have sold out of the Extra Small, Extra Large and 3XL sizes for now. A new order will probably not be placed this side of the Annual Reunion, but as this is a core item of ours a replacement order will be assessed/placed as soon as possible after the event.